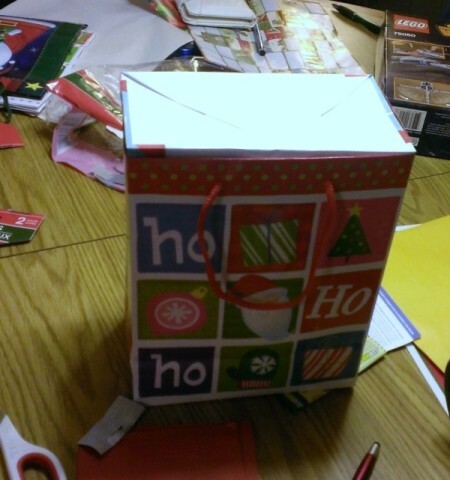 I was wrapping some last minute presents tonight and came up with these ideas. They won't get on before Christmas, but for next year and for non-holiday presents, this might help. For the ornaments, just stick bows together and hang from your tree. 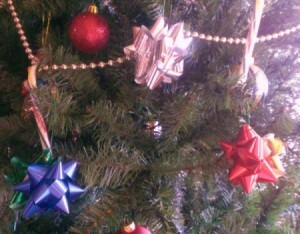 Each one costs about 9 cents and can really give the tree some "bling". 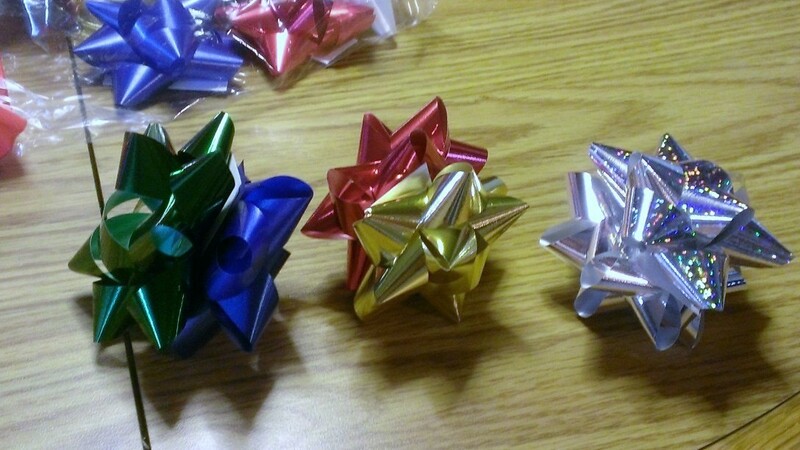 The other tip is; if your present sticks up just enough to not be able to put in tissue paper and tie the handles, put one upside down inside another that is right side up. You get a nice flat surface to stick a bow and tag on, or you can use the tag that came with the bag. Source: Nope...just by accident and design. Thanks! Sometimes I think of things but can't beat a deadline so I just share it then it goes on faster.